Home | Newsletter 160: Say it Loud: Stop the TPP! Newsletter 160: Say it Loud: Stop the TPP! 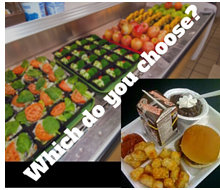 Each meal you make is a vote for the food system that you want to see. The concept sounds familiar now, but here’s an idea for bigger, more systemic change: rallying ¾ of a million forks together in support of a fair, local, healthy, and humane food system. That’s what the Los Angeles Unified School District is doing with their Good Food Purchasing Policy, which is proving an example for states and cities across the country. Institutional purchasing policies can have a huge impact on their local food economies, with each school, university, or institution writing multi-million dollar contracts each year. In the absence of proactive, values-driven purchasing policies, those contracts prioritize the least expensive options, cutting corners on nutrition, quality, and continuing to drive the race to the bottom in our food system. It doesn’t have to be that way! Encourage your Governor to enact a purchasing policy that supports fair, fresh, healthy food by taking action. There’s so many reasons that the TPP (Trans-Pacific Partnership) is a bad deal. Long shrouded in secrecy, we can now see that its rules will do as so many activists and analysts suspected, gut trade, environmental, labeling, and labor protections. One of the bright spots in the deal is supposed to be the export gains for U.S. agriculture, but the farmers who will realize those gains will mostly be large mega-farms, not the small-scale diverse farms that we know are better for people and the planet. More and more people are aware of the potential downsides of this deal. That’s why it’s beginning to look like supporters in the U.S. Congress will wait until after the election, once your votes have already been cast, to try to pass it into law. Let your elected officials know that you will still be watching, and that you’re opposed to a vote on the TPP in the lame-duck session. 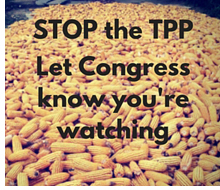 Take Action: Stop the TPP, No Lame Duck Vote! Fair World Project is proud to join the list of organizations endorsing Rock Against the TPP, a series of free concerts and teach-ins kicking off in Denver on July 23rd. Headlined by Tom Morello, best known as the frontman of Rage Against the Machine, the lineup and venue for the rest of the tour are still to be announced. 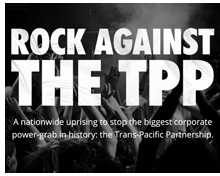 Follow us on social media to get updates or go to www.rockagainstthetpp.org for more. Want to make your morning cup count even more? We’ve teamed up with Dean’s Beans to make your coffee purchases go even further towards doing good in the world. 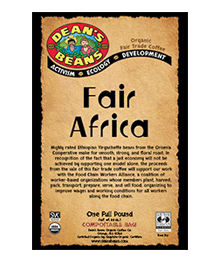 A small roaster with a big footprint when it comes to fair trade and social justice, Dean’s Beans made three custom blends to help us raise money for the work we do. There’s no bad choice: they’re all organic, fairly traded, and sourced from small-scale cooperatives around the world, and all delicious. Choose from Fair Americas, Fair Asia, or Fair Africa (or get one of each! )–$3 from each bag goes to our programs. We pass the money from the sales of the Fair Africa blend on to our friends at Food Chain Workers Alliance who work to organize and educate around the issues faced by the people who put food on our tables from field to fork. Newsletter 159: We Deserve Better!